Devi Cropscience is a leading manufacturer and marketeer of agricultural inputs since 1985 dedicated in serving the farmers in India and globally, through innovation and implementation of new technologies. The company is managed by agriculture professionals having a good understanding of the current and emerging agriculture trends. The group of companies form a perfect synergy in the overall business activities. Devi Cropscience’s state of the art production facility is located at Batlagundu in the southern state of the country. The facility is capable of producing and formulating a wide range of products used in agriculture. The facility houses a sophisticated ISO 9001:2015 certified quality control laboratory and specializes in the production and development of Boom Flower®. Boom Flower® is the flagship product of the company. The strong Research and Development wing is dedicated in developing newer environment friendly compounds for the use in agriculture. Devi Cropscience has invested phenomenally in generating various data including the bio-efficacy studies on 38 crops of economic importance through leading internationally accredited research institutes in India and other countries to substantiate its claims on the performance of Boom Flower®. The investment also ensures protection of Boom Flower® production and formulation technology by international patent and trademarks. Devi Cropscience’s global operations are strengthened by the reputed business associates in all the Asia-Pacific countries including Australia and the work is in progress in many of the African Countries and Latin American countries. Boom Flower® has a significant presence in India and is rapidly growing in the international market. 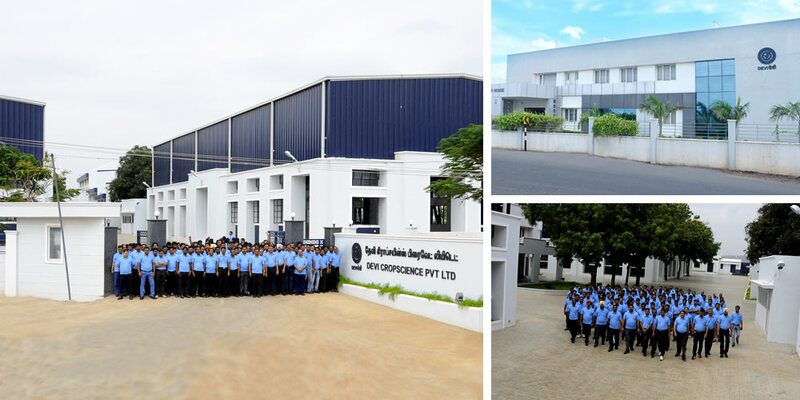 The company in India has a committed team of more than 250 employees for providing marketing, technical services and development activities, spread all over the country with 16 branches in strategic locations, networking more than 7000 direct dealers in the channel, reaching millions of farmers. The new generation products from Devi Cropscience find their adaptability in the Integrated Crop and Nutrient Management Programmes. The company has more than 30 years of experience in Agribusiness, spearheaded by professionals qualified in agriculture. The promoters come from a background of Coffee plantations and Coffee Exports. They also have expertise in Production and Distribution of Cotton Seeds, coupled with manufacture and distribution of Crop Protection Products.